Located in the gated Beaver Creek Preserve with 101 custom home lots. Homes are under construction. 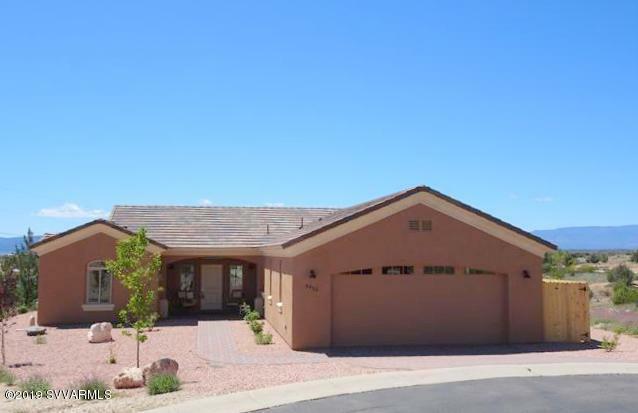 BCP has a completed clubhouse, pool, tennis court, 1/3 mile nature walk, 42% in open space, serviced by APS, AZ water Company, fire hydrants, private roads, on-site sewer plant. Public report is available. Numerous upgrades include: stainless steel appliances, kitchen and bath - granite counter tops, range/oven, microwave, dishwasher; 18'x 8' insulated garage door for high profile vehicles, concrete floor tiles, water softener loop in fully insulated garage.